RARE OPPORTUNITY TO OWN A ONE OWNER HOME ON A LARGE PREMIUM PRESERVE LOT! Located on a cul-de-sac, this home has major curb appeal! The backyard is your private oasis with almost 3/4 of an acre, the possibilities are endless. 4 Bedroom 2 Bath Panitz built home has 2,450 square feet of living space. This split floor plan is spacious and functional. The Formal Living Room and Dining Room are flooded with natural light. Large Kitchen with Breakfast Bar and Morning Room make for easy conversation and entertaining. 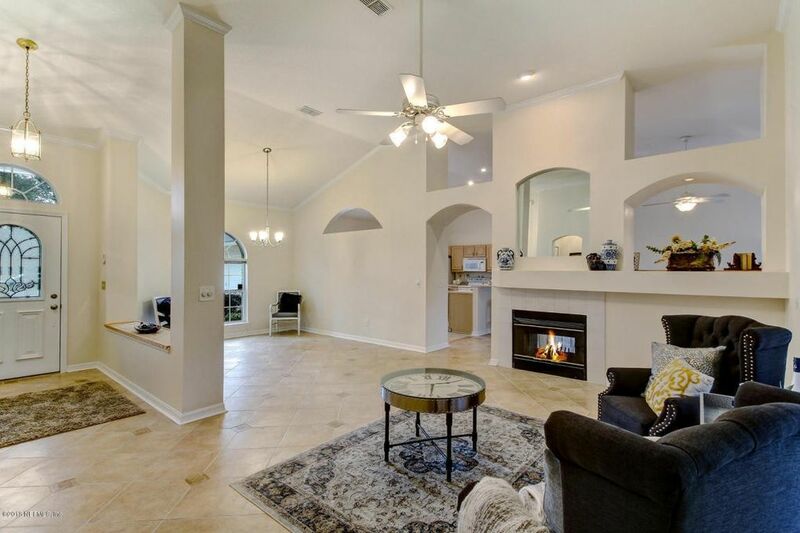 Family Room offers a double sided fireplace and mantle. A Sliding glass door leads out to a screened Lanai overlooking the wooded preserve. Enjoy freshly squeezed orange juice from your own fruit trees. The 3 Car Garage with courtyard entry provides plenty of storage and parking. Directions: S On St Road 13 To Jcp. Turn Left Onto Davis Pond Blvd. Right At Creekside Subdivison Onto Dewberry Dr S, Then Right On Buckbean Branch Lane W. Home Is On Right In Cul-De-Sac.